You are currently browsing the Archaeofacts.com archives of Musings for the day Friday, September 28th, 2018. 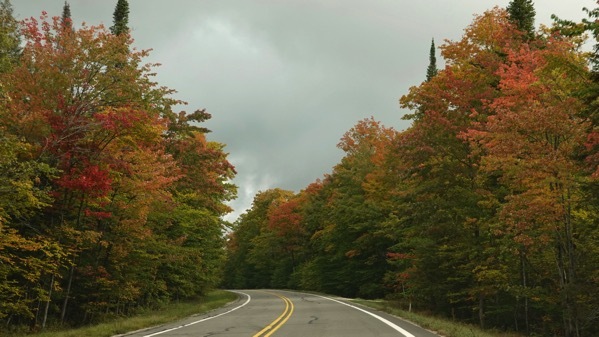 We monitored the progress of the fall color during a drive, ultimately to Paradise. Where we lunched. Mmmmm. 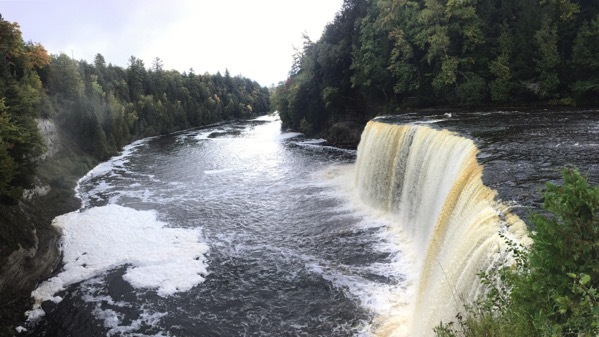 Here’s a mini-panorama of the Upper Falls*. 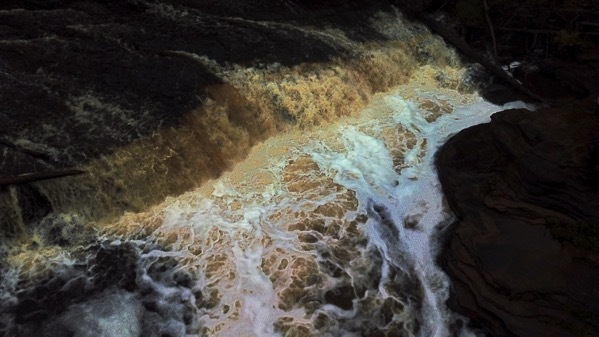 Always find the roar of the water stimulates a mellowing of my mind…. And now that we’re back at the Farm, the sun is out and the porch is nicely warmed. * Of the Tahquamenon (River), of course. Sign reminds: rhymes with phenomenon.